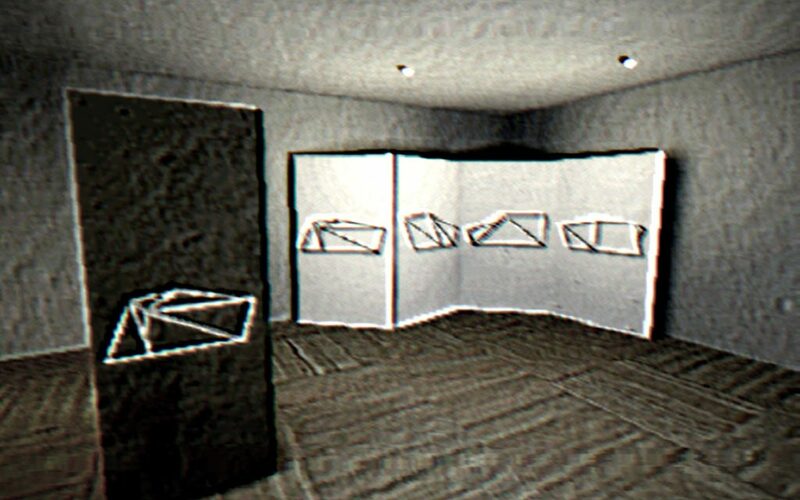 Played from a first person perspective, The Space Between is an arthouse horror piece that puts the player in the shoes of Martin Melanson, as he tries to navigate interpersonal relationships, regrets, and the shadowy horror that lies beneath the theatre he’s currently architecting. The story comes through in bursts, never truly letting the player feel grounded in what may be reality, leaving them guessing as to what may come next at any moment. Employing jump cuts and editing similar to those of Thirty Flights of Loving, it’s hard to pin down where in time or space the player may be without acute attention to detail, and perhaps a second run through of the game. 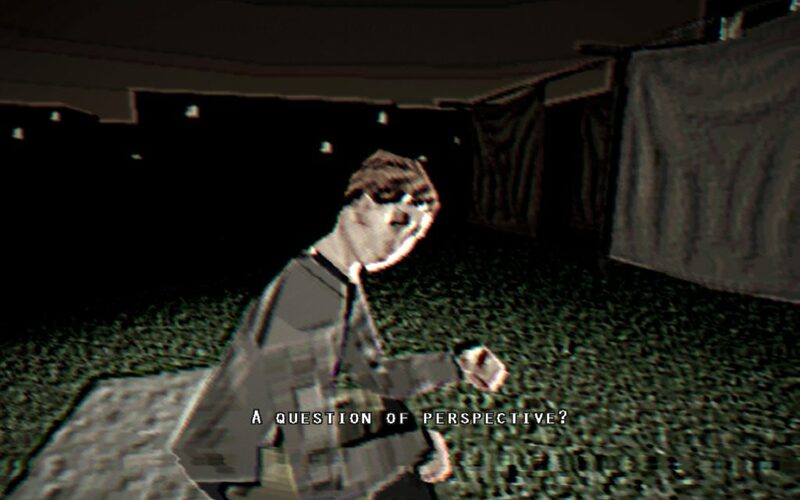 Presented with a graphical style similar to that of a late 90’s console game, solo Austrian developer Christoph Frey (@chrstphfr) employs several graphical effects that not only create the hauntological feeling a lot of indie horror games go for at the moment, but elevates it by sharpening the graphics to an extreme. 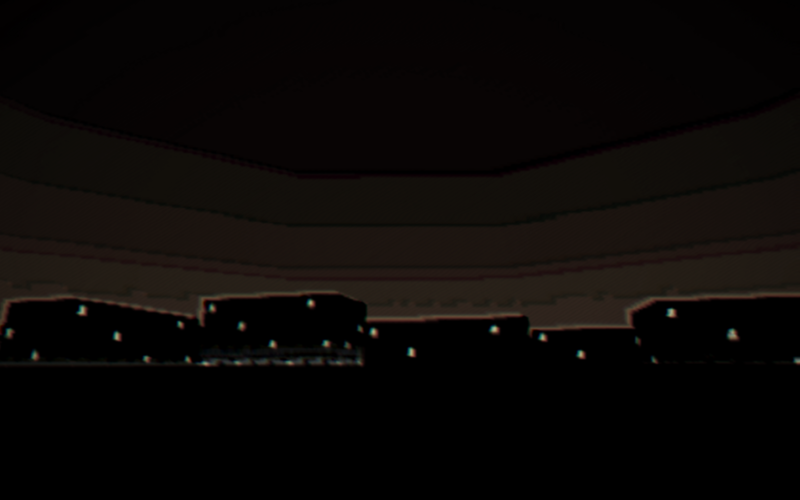 In addition, edges of objects blur and leave afterimages, creating the closest effect I’ve seen to a CRT screen by abstracting the images presented without leaving too much to the imagination. 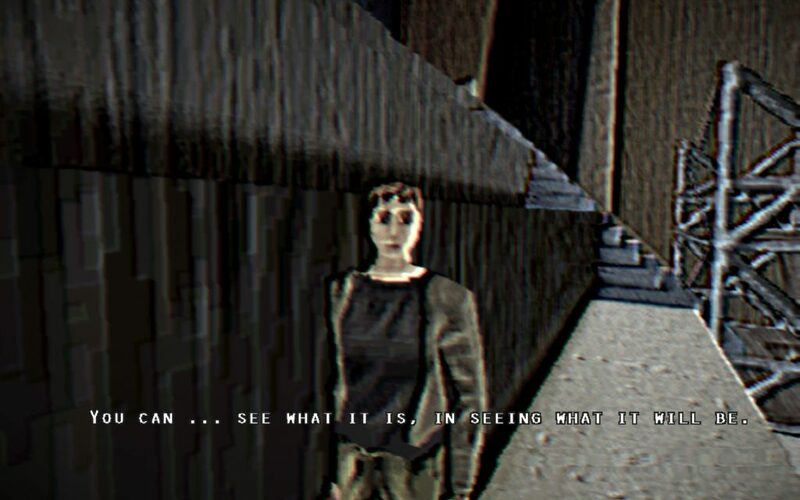 On top of all of this, Frey has this fascinating pulsating effect that ripples across the screen constantly, ever-so-slightly warping your vision as though the game were being played off a shoddy VHS tape. The scariness of anything is directly tied to its blurriness. Overall, these stylistic choices come together in a thoroughly cohesive aesthetic whole, amplifying cinematic qualities similar to those of an Ingmar Bergman or Nicolas Winding Refn film. A general unease permeates the whole piece, a malaise hanging over every moment as the slow burn of the narrative gives way to what lurks beneath the sketchy surface of Frey’s work. Beyond this point lie spoilers for the overall narrative, and I would strongly encourage anyone reading this to go and play the title for themselves if they’ve any interest in it so far. It’s something best experienced in its own right, as blind as can be, for its own sake. Throughout The Space Between, protagonist Martin grapples with the question of why it is that he, an architect, chooses to build walls. These walls don’t have to always be made of matter, he repeats to himself almost as a mantra. Struggling to understand a developing relationship with voyeuristic neighbor Clara, the lines between his own self and his memories begin to blur. Are these buildings erected as cathedrals to his own ego? Or are they for a greater good, to provide for others? Martin spends most of his time in the understage of the theatre he’s working on, in a room built explicitly for himself. Established as a requirement in his contract, Martin always makes sure to have a room in the plans that is for him alone. Clara posits, “You built a room for your ego, didn’t you?” As the plot progress, it’s uncertain if this is the case or not. One thing is for sure, though: this place is not a home. It seems oppressive, almost unlivable, barren of the amenities expected of a dwelling. The halls and scaffolding leading to the room give way not to any sort of comfort, but rather a pervasive sense of something unfinished, of a work in progress. Time starts to blend into a mishmash of moments past, Martin longing for a simpler time with Daniel, his childhood friend. 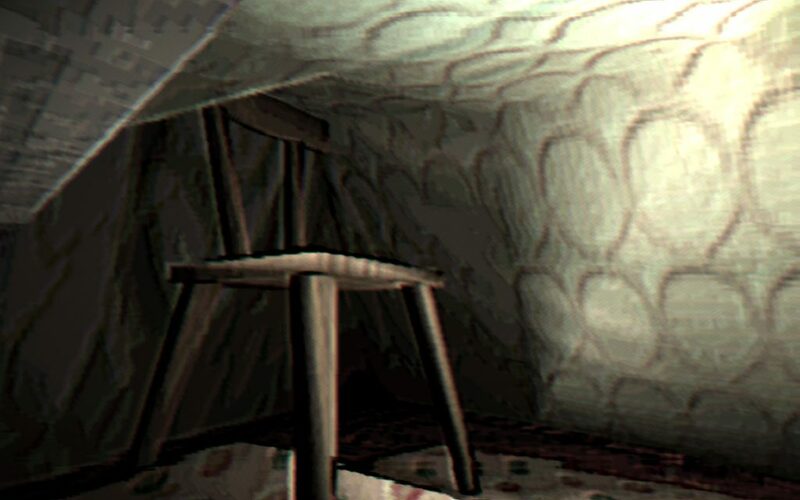 During the prologue, we’re presented with Martin huddled under a blanket fort, propped up by two chairs facing one another, empty, ready for two to sit face-to-face. On the other side of his blanket, Daniel asks Martin to press his hand against the sheet, against Daniel’s own hand, and to choose whether Martin can feel the blanket, or if he feels Daniel. “Both,” Martin answers. We return to this moment, several times, but the blanket is never pulled away, Daniel never seen or able to make contact. It’s almost as if Martin regrets this, or resents it, wishing the memory could resolve differently. This fort’s nicer than most apartments I’ve had. Revealed halfway through, Daniel has died. Martin watches as the casket containing Daniel’s corpse is cremated, removing all earthly ties Daniel once held. Without Martin’s memories, does Daniel still exist? Does Martin still feel him on the other side of the blanket? He says to Clara at one point, “But that’s why I’m an architect. I don’t have to let go. I can live inside my work.” Martin’s desire to cling to the things he creates, his relationships and his own buildings, in some way gives them meaning and allows them to exist beyond himself. In the end, what do our creations have to say about the creator once they leave their hands? Should one choose to inhabit the objects made; does that enhance them, or diminish them? Does it matter? Mentioning at one point that the understage is sometimes referred to by actors as “Hell,” it’s easy to imagine that this place has quickly become Martin’s own personal Hell, a place in which he is trapped, where there is no simple escape from the confines he has built around himself. Whether he feels Daniel on the other side of the blanket no longer matters; Martin instead obsesses over the blanket itself, and the separation it creates between him and the things he loves. Look, I just have a hell of a lot of questions. The Space Between is a heady, meaty piece that posits many questions and provides hardly any answers, if any at all. Dissecting it in one simple article seems near-impossible. Surely, though, we must press forward, if we wish to understand not only the work, but ourselves in relation to it. In the second part of this dissection, we’ll follow up Martin’s dismay, trying to pick apart this monolith of what may be nothing more than ego. Tomorrow, we’ll return to Hell, and hopefully come out carrying some sort of new knowledge with us, something that can bring us closer to understanding the mystery of this world and its inhabitants. Begrudgingly powered by Wordpress 5.0.3. Page generated in 0.052 seconds using 20 queries.